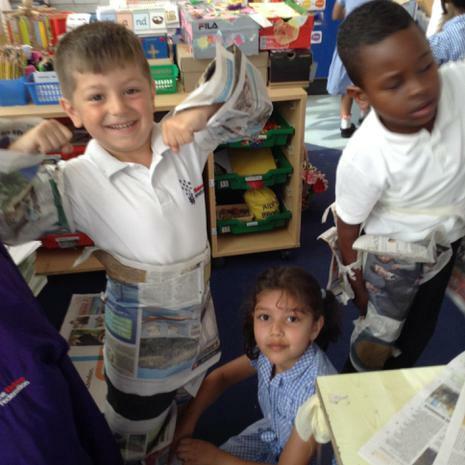 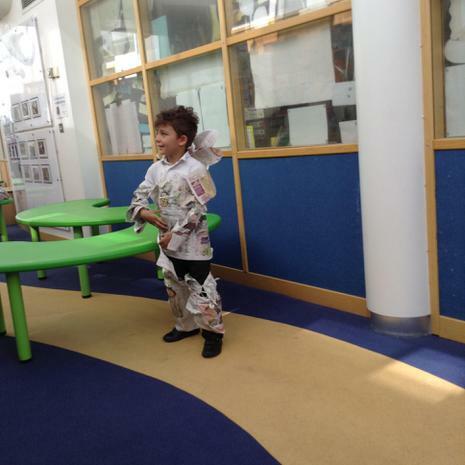 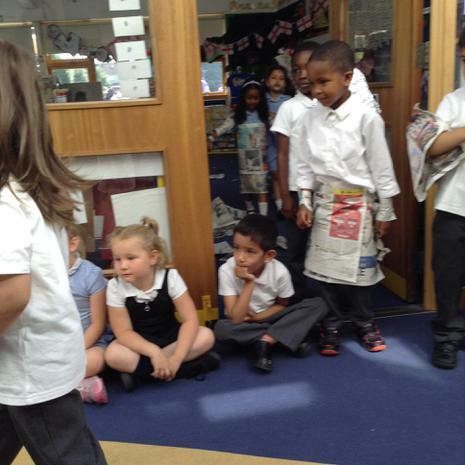 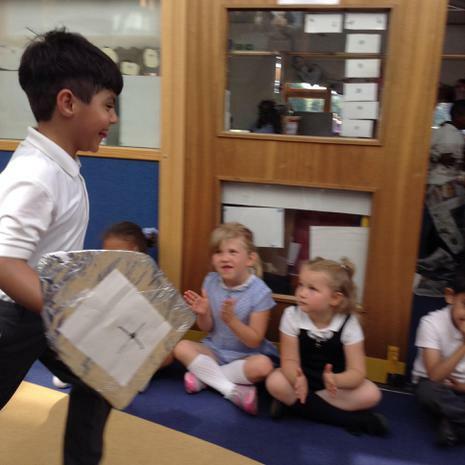 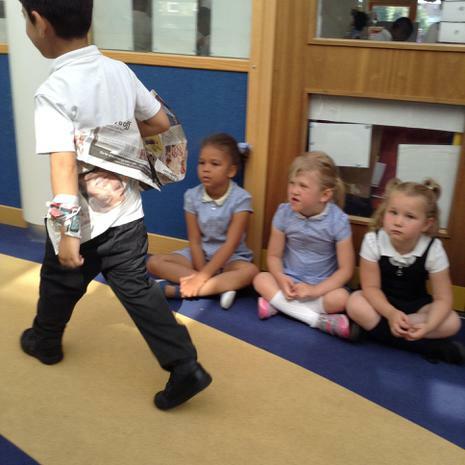 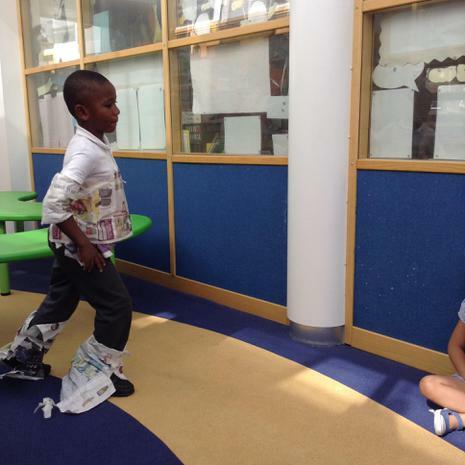 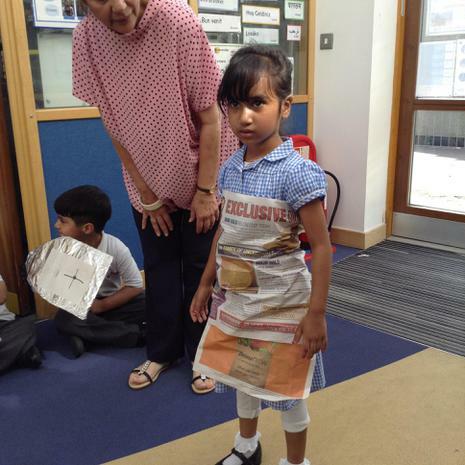 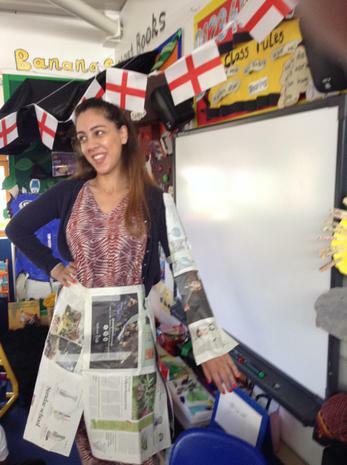 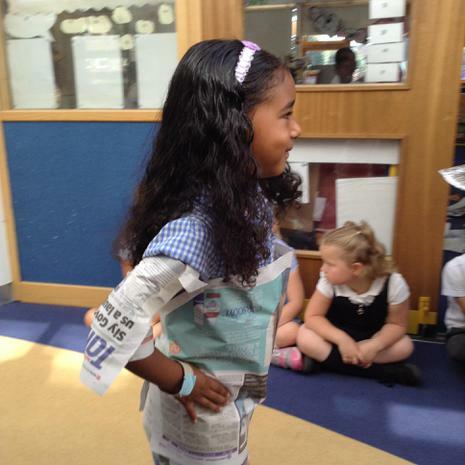 This week Blue Class had a very exciting design project happening – fashion design! 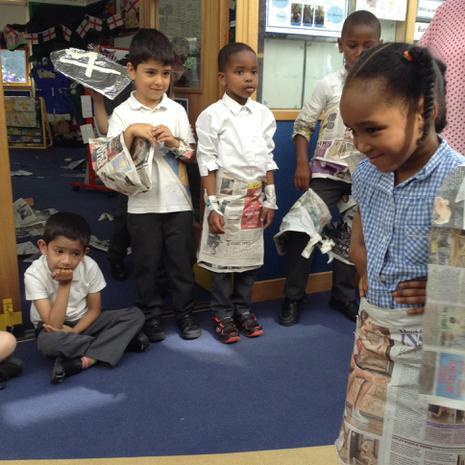 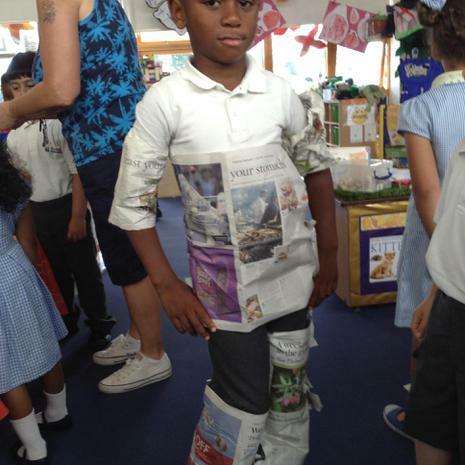 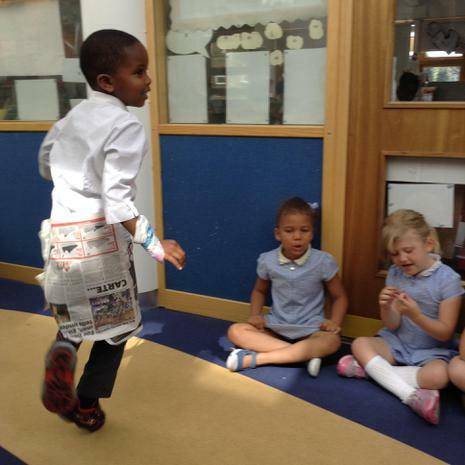 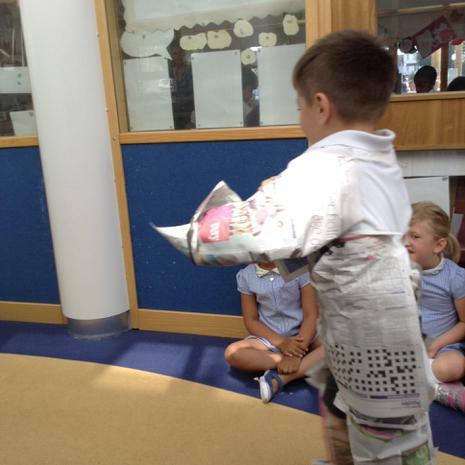 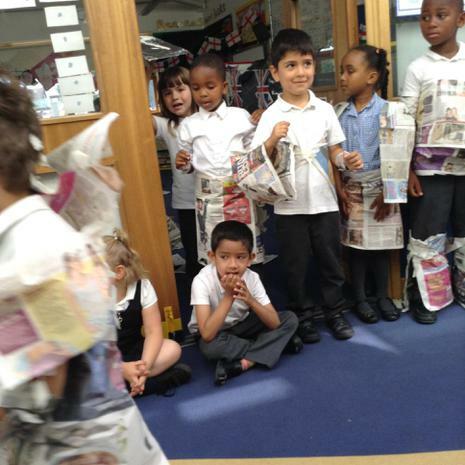 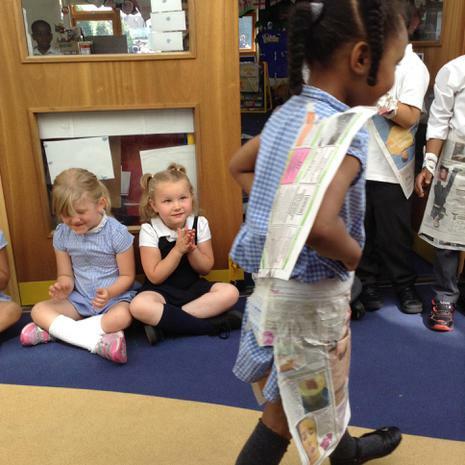 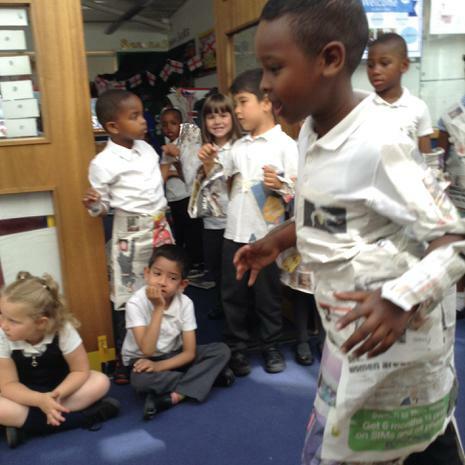 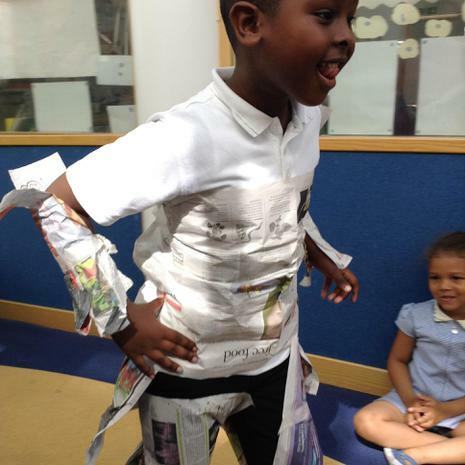 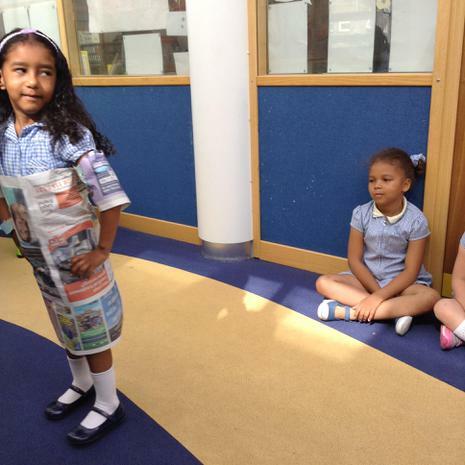 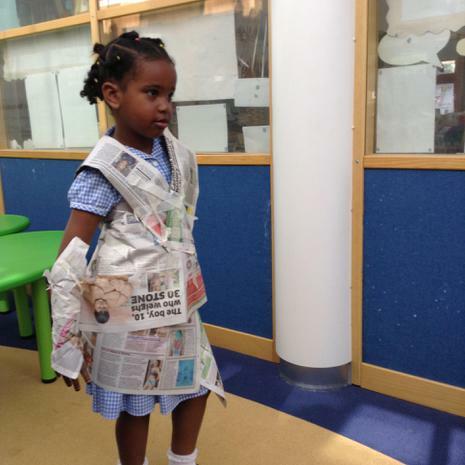 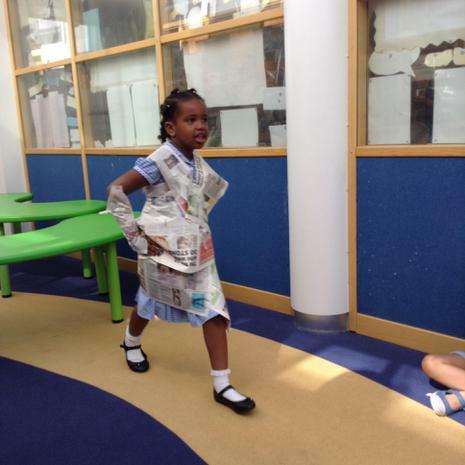 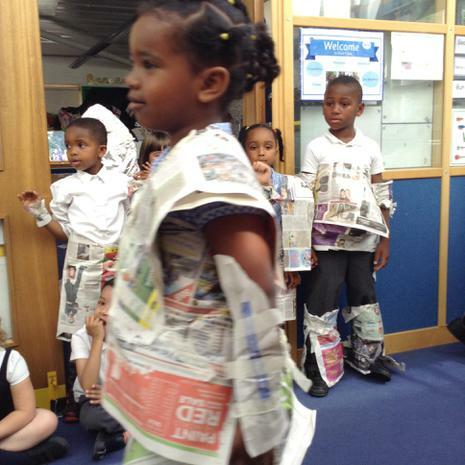 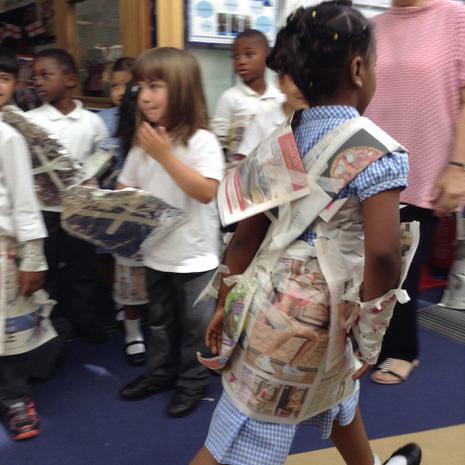 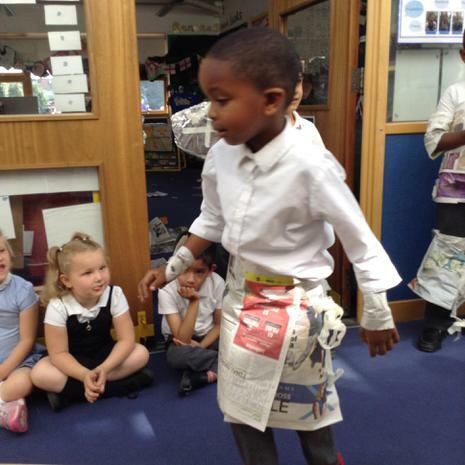 The children designed and made their own clothes from newspaper by folding and creasing, and then modelled them on our catwalk. 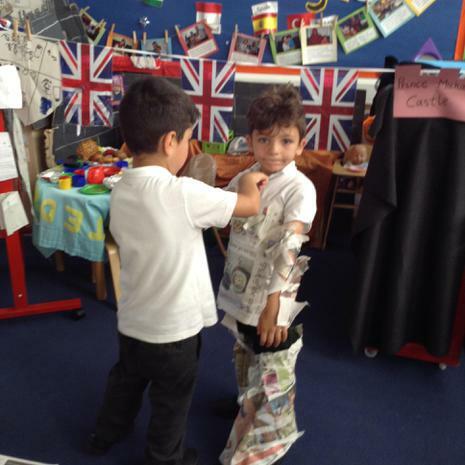 They had lots of fun, and looked very stylish! 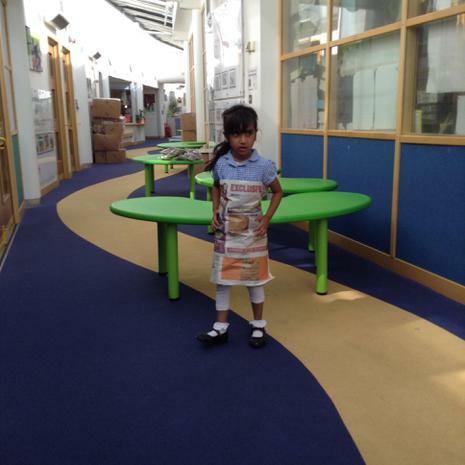 Well done Blue Class. 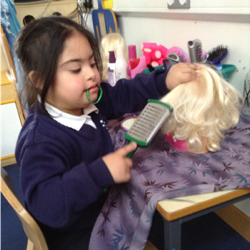 We currently have a hairdresser’s role play area in Red Class. 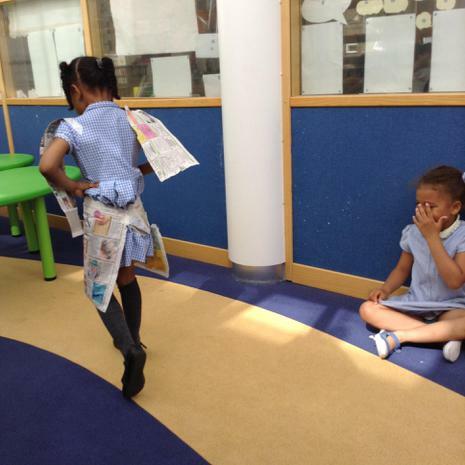 This child is styling a customer’s hair. 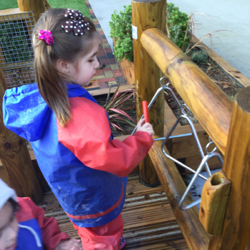 Children are encouraged to create independently. 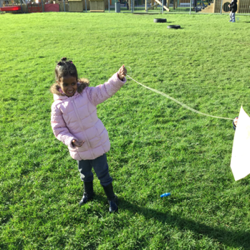 This child created a kite on a windy day. 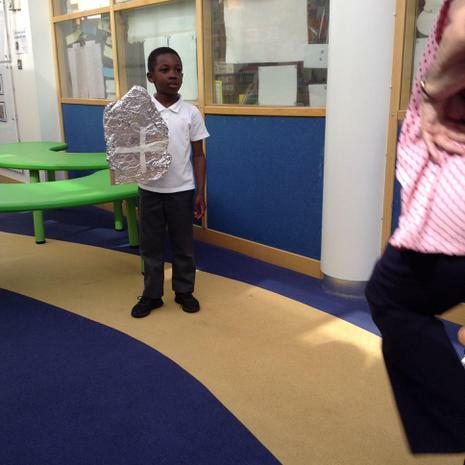 We have experimented with the different sounds that instruments make. 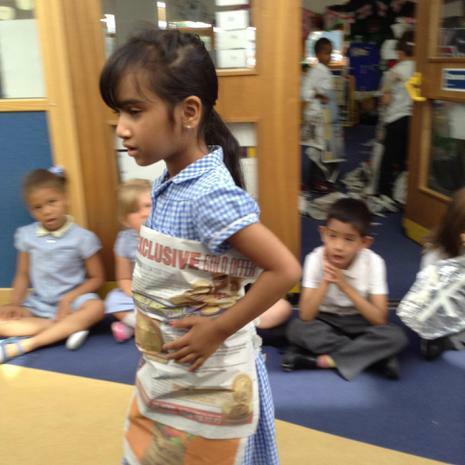 We have been doing observational drawings this week, looking closely at the details of unusual objects and drawing them. 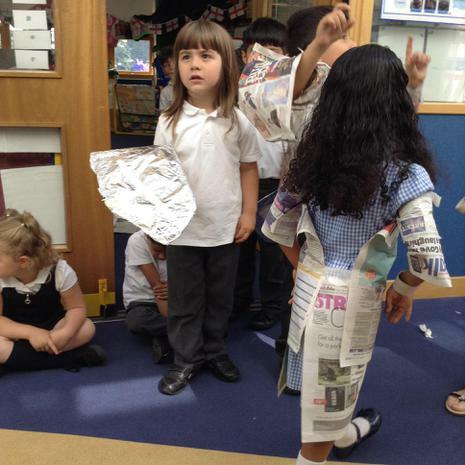 We talked about texture, shape and light and shade.